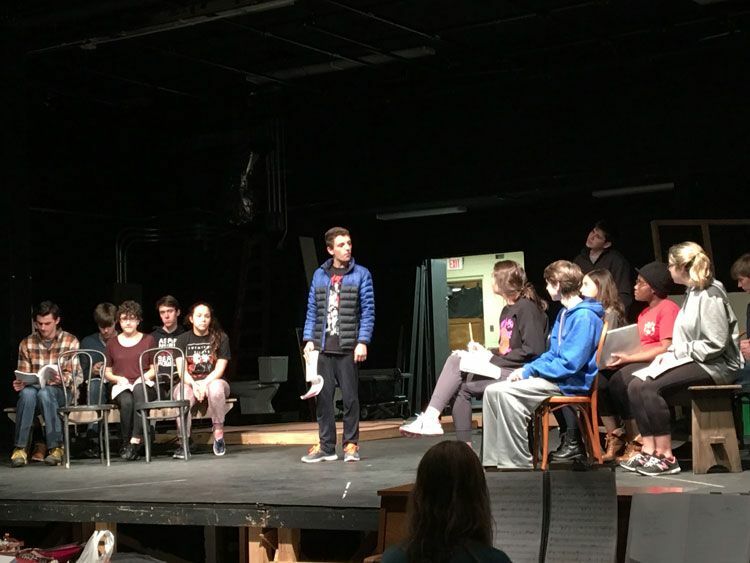 The Hopkins Drama Association will put their penchant for performance to the test in this winter’s musical: Legally Blonde. The production follows the story of Elle Woods (Georgia Doolittle ’18), a Delta Nu sorority sister turned Harvard Law School student, who enrolls to reclaim the love of her ex-­boyfriend Warner (Ethan Lester ’16). As Elle becomes increasingly successful in her studies, she is offered a summer internship from her professor, Callahan (Colin Flaumenhaft ’18), to help defend fitness guru Brooke Wyndam (Liza Kottler ’17) in a murder trial. Even when no one on Callahan’s team believes in Brooke’s innocence, Elle stays true to her convictions and puts up a successful defense. Lovell Auditorium has a small stage, which makes the ambitious scene changes all the more risky. “Legally Blonde is very technical behind the scenes as far as costume and scene changes. There is always a lot of stuff going on at the same time. I think that it would be amazing for the cast to be able to pull off this show, considering the limited amount of space that is provided in Lovell Auditorium,” said Kiarra Lavache ’18. The cast has all agreed that Legally Blonde does a great job of showcasing fresh faces. “This production has brought a lot of the hidden talent Hopkins has out of the wings, so to speak,”said Meghan Podolsky ’16. Legally Blonde will be performed on March 3, 4, 5, and 6 in Lovell Auditorium.